The Diamond Cut Soccer Medal has beautiful detail and a bright silver border that is cut to shimmer in the light. 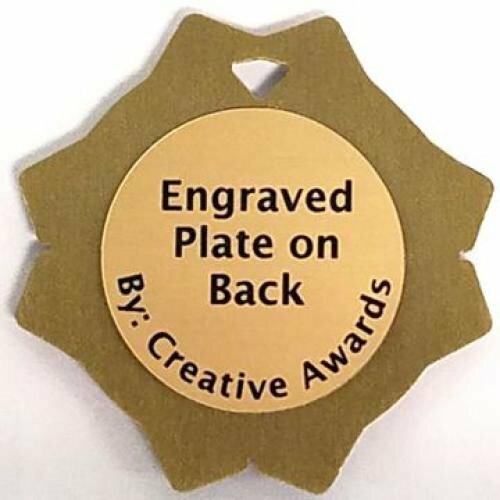 This award medal is available in an antique gold, silver and bronze finish. 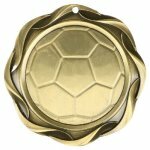 These Soccer medals look great with your choice of a either a 7/8 inch or 1.5 inch wide neck ribbon. 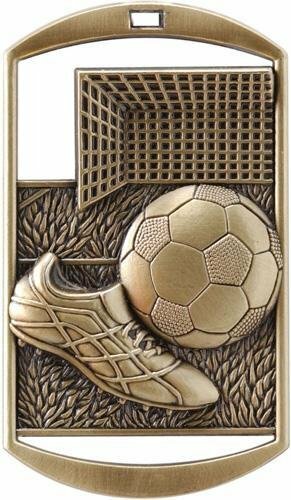 The larger Soccer medallion has a 2 inch engraved plate that can hold up to 7 lines of engraving with 12 to 20 characters per line. The smaller medal can hold up to 6 lines of 10 to 15 characters per line. 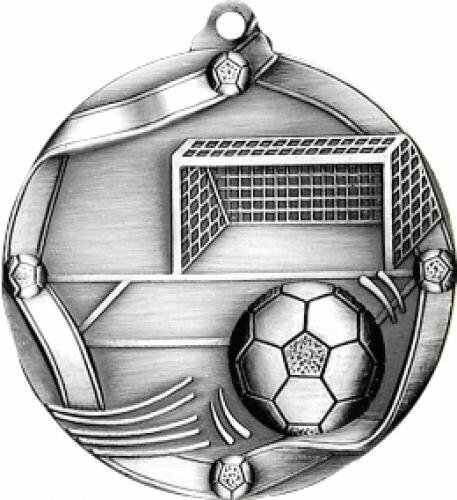 The Fusion Soccer Medal is a large impressive medallion. The Soccer medallion is available in antique gold, silver and bronze. 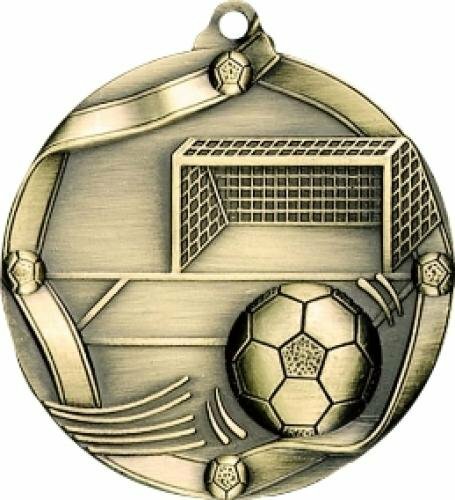 These Soccer medals look great with a 1.5 inch wide neck ribbon. 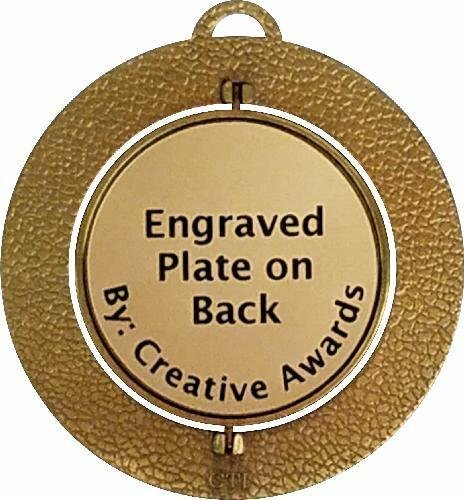 The back of these Soccer medallions have a laser engraved plate that can hold up to 7 lines of engraving with 12 ro 20 characters per line. 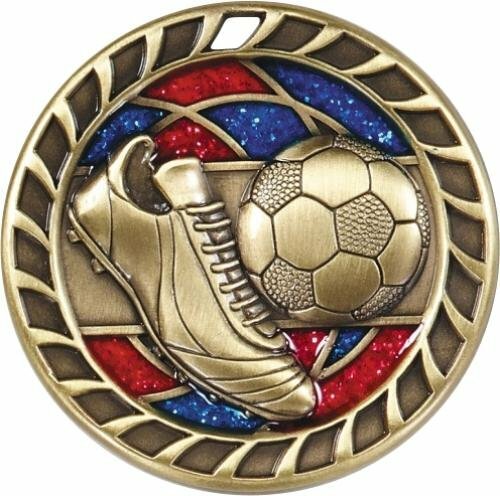 The Glitter Soccer Medal has a striking Soccer design with red and blue glitter windows. Just let the light shine through. 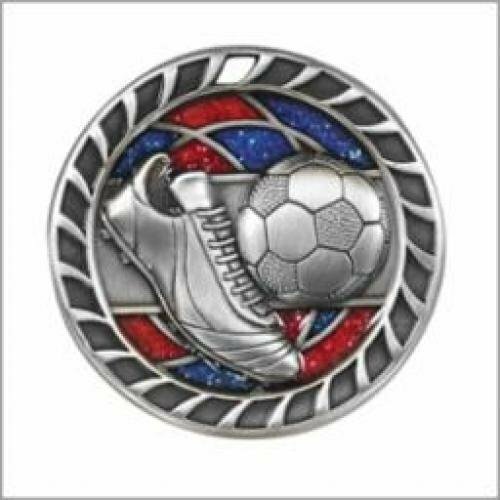 This Soccer Medallion is available in antique gold, silver and bronze. 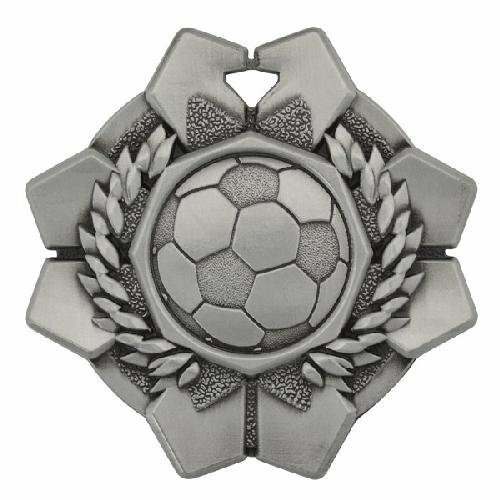 These Soccer medals look great with your choice of a either a 7/8 inch or 1.5 inch wide neck ribbon. 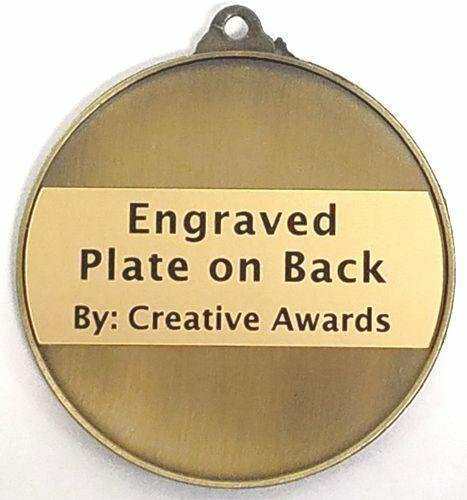 The back of these Soccer medallions have a rectangular space for an engraved plate that can hold up to 4 lines of engraving with 24 characters per line. 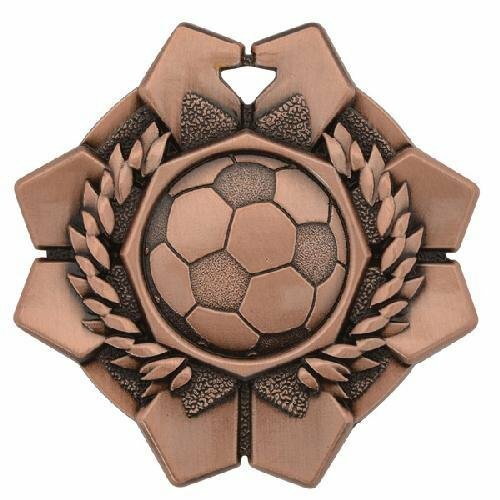 Although the Imperial Soccer Medal is not very large, it has an impressive design. The Soccer medallion is available in antique gold, silver and bronze. 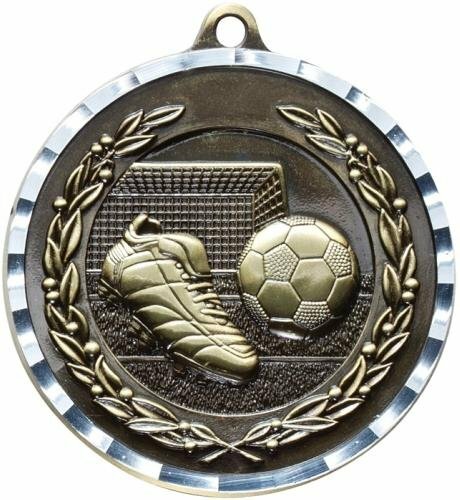 These Soccer medals look great with your choice of a either a 7/8 inch wide neck ribbon. 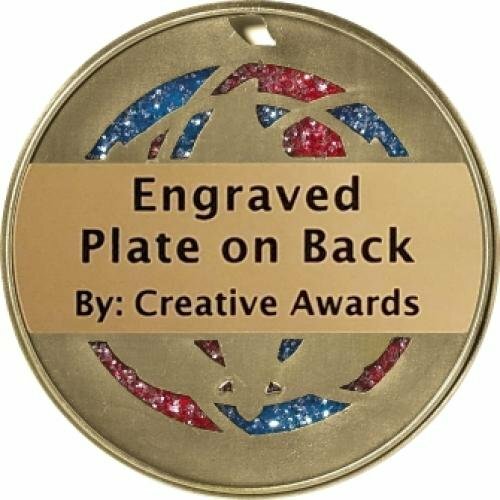 The back of these Soccer medallions have a round laser engraved plate that can hold up to 6 lines of engraving with 12 to 18 characters per line. 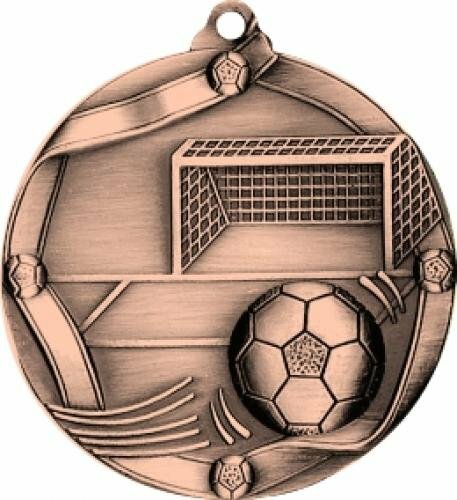 The Mega Soccer Medal has a bold impressive design. The Soccer medallion is available in antique gold, silver and bronze. These Soccer medals look great with your choice of a either a 7/8 inch or 1.5 inch wide neck ribbon. 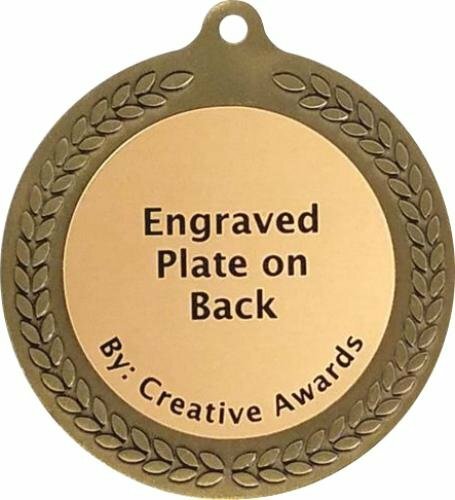 The back of these Soccer medallions have a round laser engraved plate that can hold up to 6 lines of engraving with 12 to 18 characters per line. The Rectangular Soccer Medal has an impressive 3D Soccer image offset by cut out sections on the top and bottom of the medal. 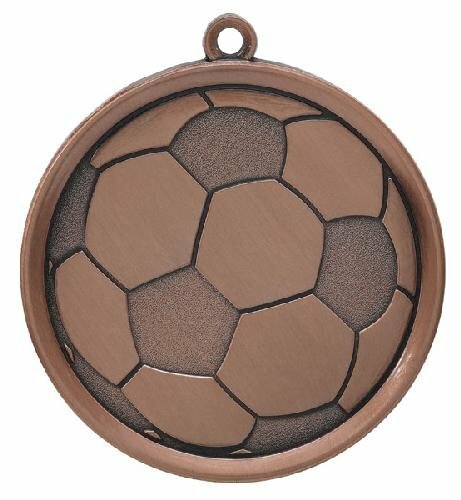 This Soccer Medallion is available in antique gold, silver and bronze finish. 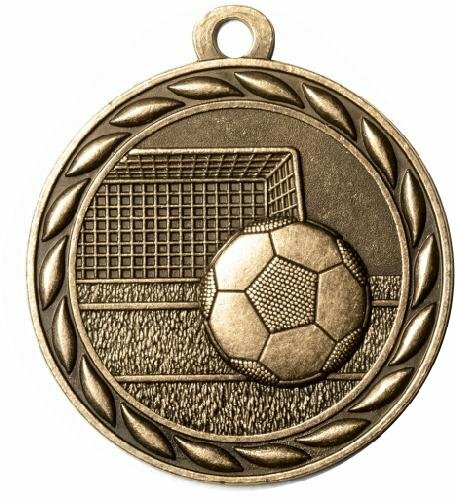 These Soccer medals look great with your choice of a either a 7/8 inch or 1.5 inch wide neck ribbon. 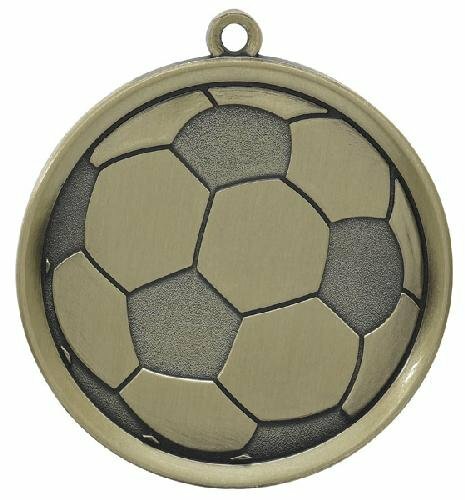 The back of these Soccer medallions have a 1.5 inch square space for an engraved plate that can hold up to 7 lines of engraving with 15 characters per line. 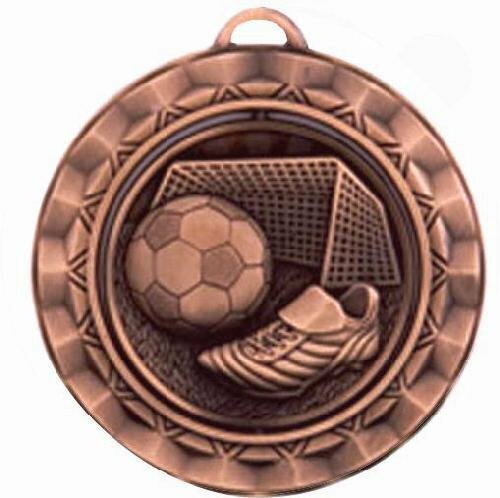 The Ribbon Soccer Medal has a Soccer design encircled with a ribbon. These Soccer medals look great with your choice of a either a 7/8 inch or 1.5 inch wide neck ribbon. 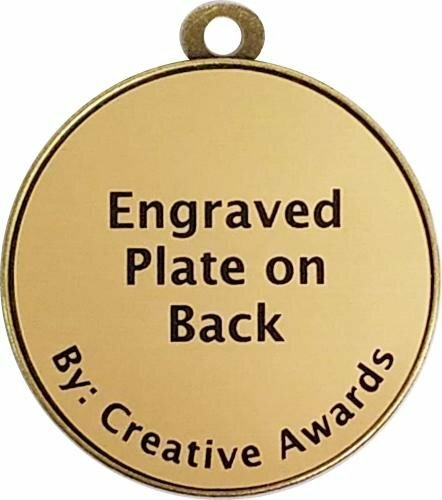 The award medals are available in antique gold, silver and bronze finish. 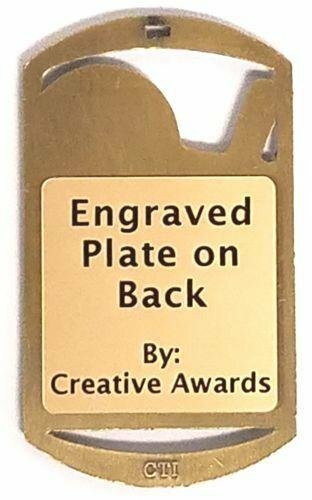 The back of these Soccer medallions holds a rectangular engraved plate that can hold up to 4 lines of engraving with 24 characters per line. 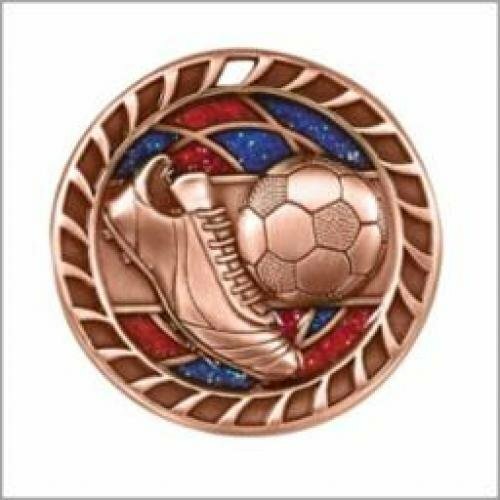 The Scholastic Soccer Medal is economically priced and perfect for a limited budget. 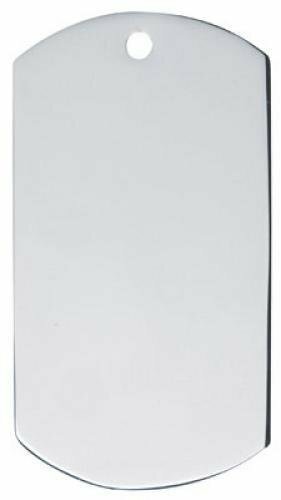 The award medals are available in antique gold, silver and bronze finish. 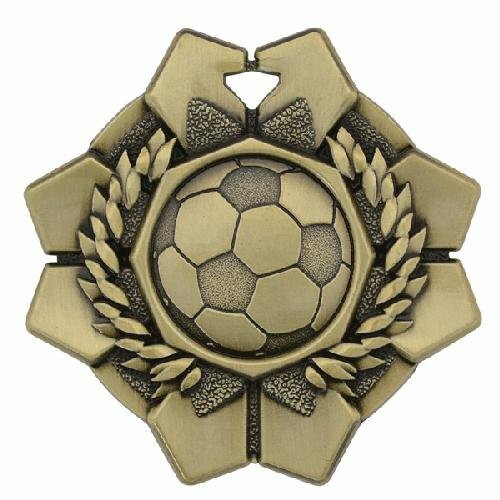 These Soccer medals look great with your choice of a either a 7/8 inch or 1.5 inch wide neck ribbon. 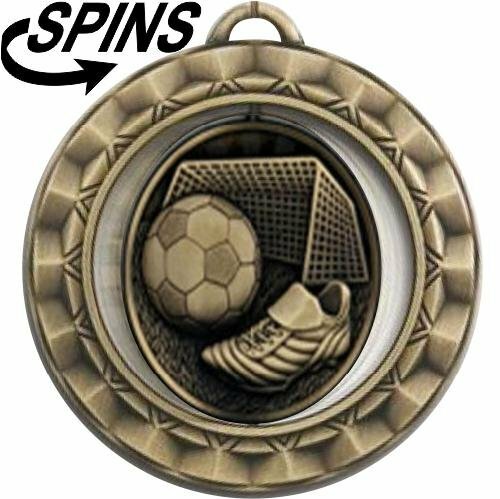 The back of these Soccer medallions have a 1.875 inch diameter space for an engraved plate that can hold up to 6 lines of engraving with 10 to 18 characters per line. 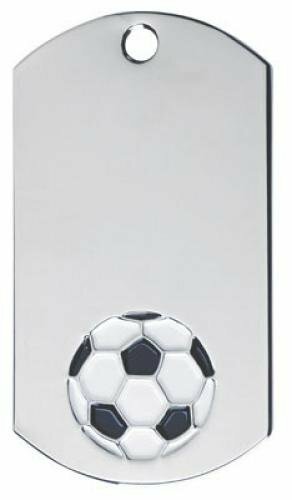 This Soccer Dog Tag has a beautiful bright silver finish. These dog tags are diamond engraved. 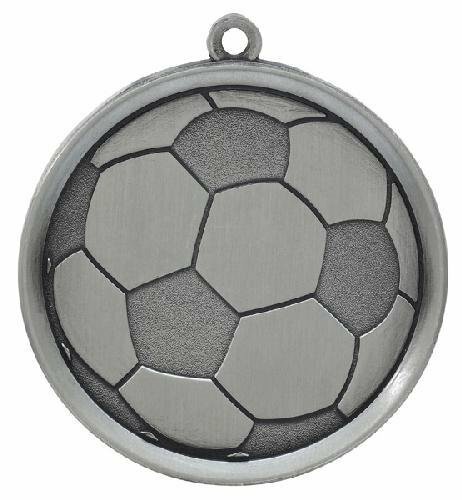 The Soccer Dog Tag can be worn around the neck or presented as a key chain. 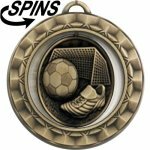 The Spinner Soccer Medal is a fun medal for children of all ages. Just spin the middle of the Soccer medallion. 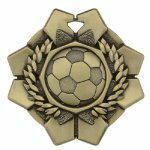 These Soccer medals look great with your choice of neck ribbon and are available in antique gold, silver and bronze. 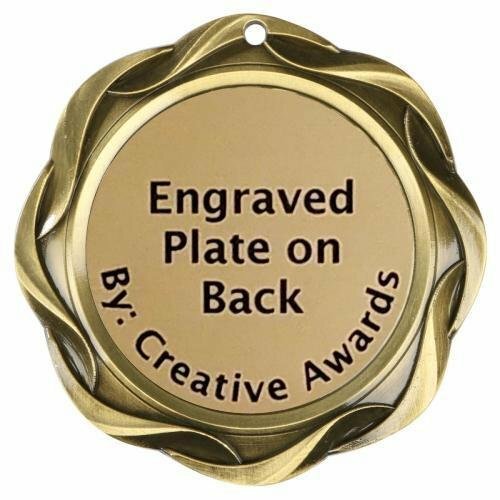 The back of these Soccer medallions have a 1.5 inch diameter space for an engraved plate that can hold up to 5 lines of engraving with 10 to 15 characters per line.